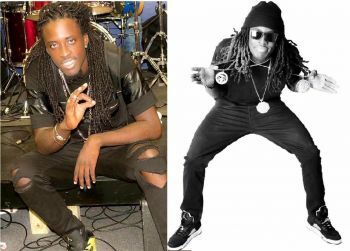 FREDERIKSTED, St Croix, USVI — Virgin Islands News Online can confirm that the member of Stylee Band who perished, along with 4 others, in a plane crash near the Henry E. Rohlsen Airport on St Croix, US Virgin Islands (USVI) on Thursday night, December 7, 2017 is lead singer Kyle ‘Kylo’ Sylvester. Reports are that the private chartered Baron-branded aircraft experienced engine problems soon after takeoff. Noticing a problem, the pilot attempted to land on the airport’s runway, but the plane reportedly crashed in a nearby field. The Virgin Islands Port Authority said in a statement issued on Facebook that the crash occurred at 8:45 P.M.
Stylee Band is one of the very popular bands in the US Virgin Islands and has performed at many shows throughout the region. The band was scheduled to perform at the washed out Virgin Islands Emancipation Festival this year. Meanwhile, the names of the other plane crash victims have not been officially released. A plane crash near the Henry E. Rohlsen Airport on St Croix, US Virgin Islands (USVI) on Thursday night, December 7, 2017 left all five occupants of the aircraft dead, The Consortium can confirm. [US} Virgin Islands Department (VIPD) Police Commissioner Delroy Richards told The Consortium that the aircraft, a private chartered plane, took off from the St. Croix airport and soon after started experiencing engine problems, with flames coming from one of its two engines. 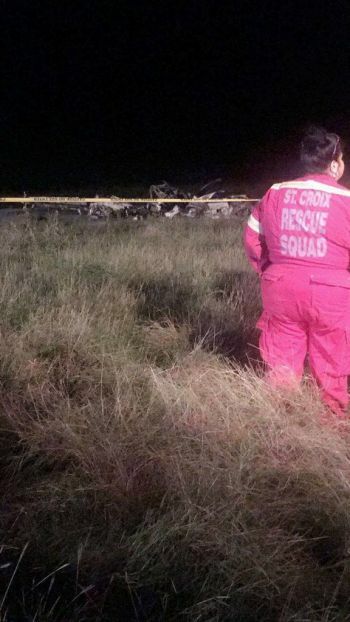 The pilot circled back and attempted to land at the airport, but the plane crashed in a field area near the runway, leaving all occupants, including the pilot, dead, Mr Richards said. The commissioner said the plane was a Baron-branded aircraft. David Goodrich, commander of St Croix Rescue’s extrication team, who was on the scene of the incident, told The Consortium that by the time they arrived on the scene, there was nothing they could do. The Virgin Islands Port Authority said in a statement issued on Facebook that the crash occurred at 8:45 P.M. The plane included one member of the Stylee Band, however The Consortium will withhold the member’s name because next of kin notification still needs to occur. The VIPD cordoned off the east and west entrances of the airport, only allowing in first responders. 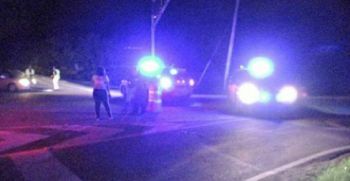 A medical examiner vehicle was spotted making its way to the scene, and a first responder at the crash site told this publication that emergency personnel were still investigating the incident at about 11:06 P.M. on Thursday. The tragedy has cast a cloud of sadness over the territory, as the Stylee Band, currently one of the territory’s premier groups, is known to help carry the festival season, especially their performances during the Festival Village, j’ouvert morning and the parades. And the news of the crash and the plane’s high-profile occupant sent a shock through social media, with thousands already mourning the unfortunate occurrence. I'm so sorry that this unfortunate accident occurred. My heartfelt condolences to the families affected. Condolences to his parents and loved ones. This is very sad news. So choked up right now. It's crazy how this could happen to anybody travelling mehson.. I use to feel like them things don't happen in the Caribbean or around we side. I use to be more nervous on flights overseas, but once we flying in the Caribbean, I felt more secure (like a plane crash can't happen here). This just a reminder that anything could happen when you on a flight. Rest in eternall peace .really hurts to hear this sad news . People please repent and turn to GOD serious days. You are telling the true because God is begging his children to repent because the time is near. My brother and sister please do it before it get too late. Heaven is real and Hell is real. think about it. My condolences to the parents of Kyle. You are on my mind Anna. I pray that God give us the strength we need at this time. May God help the family and friends to carry on. You will be missed " kylo" My condolences to the members and family and fans of the stylee band . rest in peace . to a great super star. My heart is broken to hear the sad news.